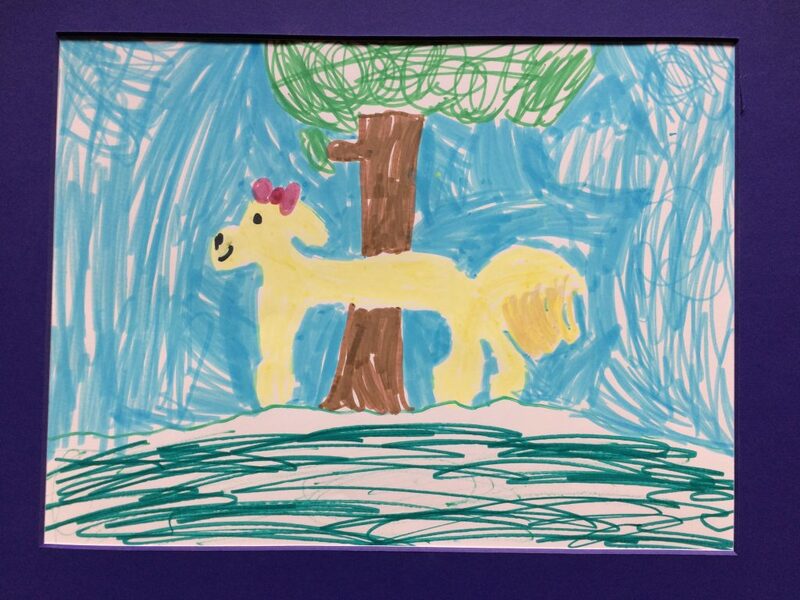 To start off 2019, this month’s drawing in the pocket park kiosk is by seven year old Leana, who drew it at Pinehurstfest. If I’m not mistaken, that’s a golden retriever under the tree. Nice work, Leana! The pocket park is at NE 117th St & 19th Ave NE. Check it out!